Castelo Branco was well known for its silk embroidery. Although the motif of the tree of life derives from European imagery sent to Asia, early modern consumers in Europe associated it with exotic Asian imports. 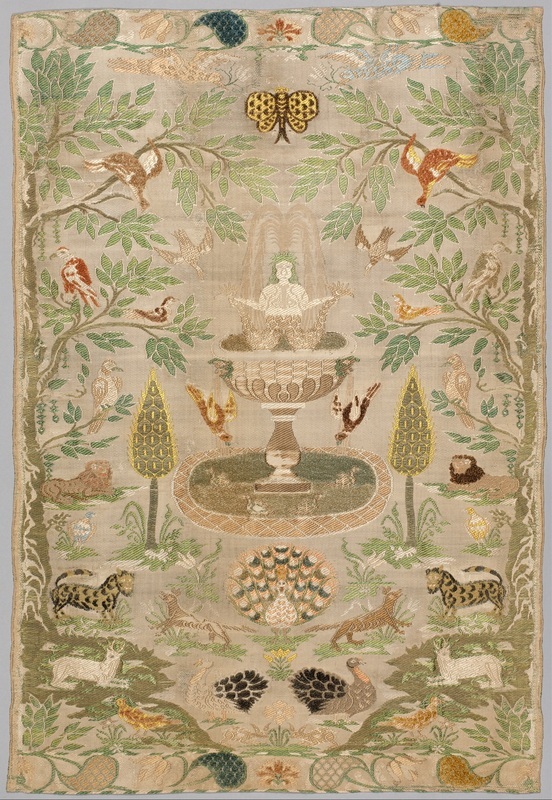 This embroidered quilt imitates the painted chintz coverlets that were produced in India for export to Europe. This hanging is an excellent example of the interest in the abundance and variety of the natural world. Animals from all over the globe are depicted, including New World animals, such as the turkey.